L.M. Nelson is certified teacher and CPR/First Aid instructor. She enjoys poetry, music, photography, gardening, reading, and nature walks. Aside from The Guardian and her Scrubs series, she has written several poems, some of which have been selected for literary magazines and published in a poetry collection entitled World Treasury of Great Poems. She co-wrote the article, ‘Gifted and Talented Education at the Close of the Decade of the Brain’, which was published in the educational journal Perspectives: Idaho Association of School Administrators. She wrote a post for Squirl’s On the Spot blog, a guest post called A Balancing Act, and an article called Renegade Book Marketing that was featured on BookDaily.com. Her blog is featured on Megatopia’s writing page. South Central Texas. 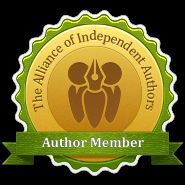 She is a member of the Texas Association of Authors, the Texas Authors Institute, Alliance of Independent Authors, and the San Antonio chapter of Romance Writers of America. To learn more about L.M. Nelson and her books, you can view her Amazon author page, see her profile on Smashwords, BookBub, and Circle of Books, follow her on Pinterest, Twitter, LinkedIn, Instagram, Google +, and Goodreads, or connect with her on Facebook.